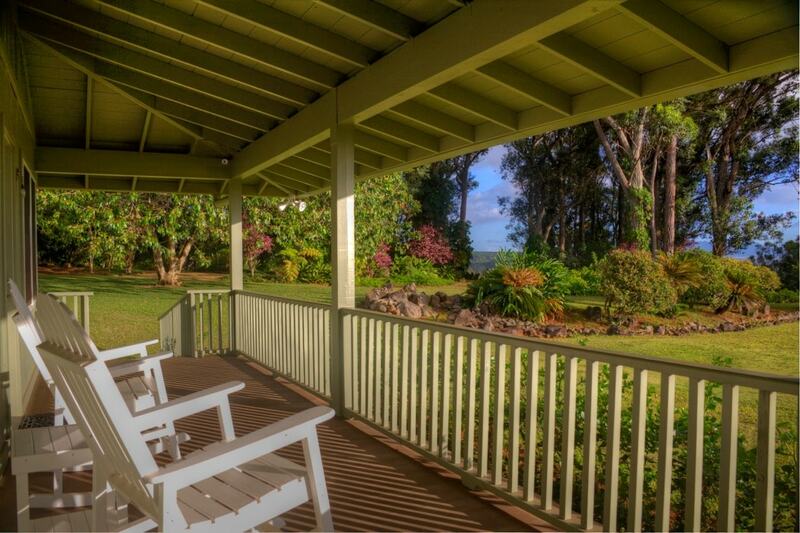 Sunset Ranch is an exclusive thirty acre estate on the North Shore of Oahu, with ocean and mountain views of the entire northwest side of the island. 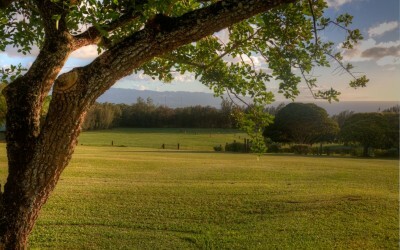 As one of the only properties in Hawaii forever protected with federal, state and county grant funding, Sunset Ranch has a focused mission of advancing land conservation and sustainability in Hawaii. Sunset Ranch is currently available for Tours and Events. 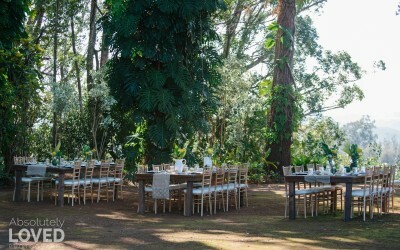 Our Tours were carefully designed to provide visitors a unique opportunity to enjoy one of the most exclusive estates on Oahu and learn about the history of the ranch, land conservation, sustainability and Hawaiian history and culture. We also host a variety of Events, including: weddings, birthday parties, fundraisers, family luaus, corporate retreats and other social gatherings. Our hope is that by sharing the property in these ways, visitors will engage in the land conservation and sustainability cause. 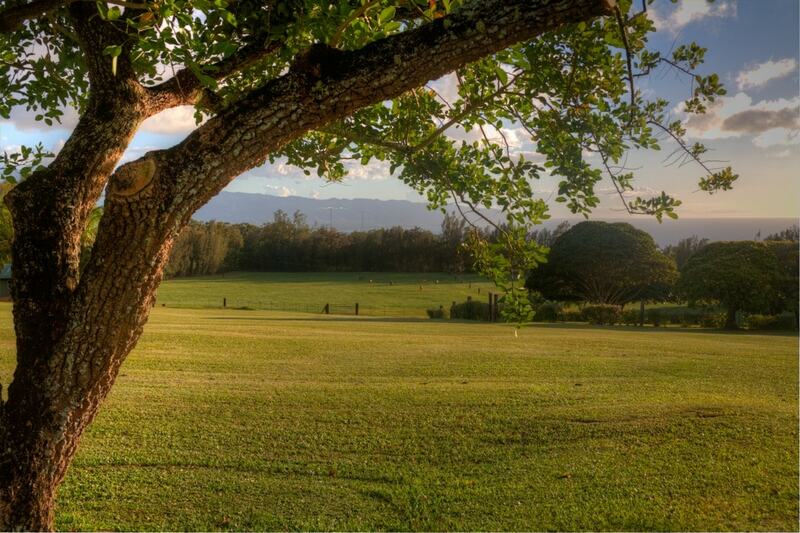 To book a Tour or Event at Sunset Ranch, please contact us at [email protected] or (808)638-833. Mahalo nui loa! In the interest of carefully managing the condition of the property, Sunset Ranch works exclusively with Accel Event Rentals. Accel Event Rentals is your one-stop shop for tents, ceiling and decorative wall treatments, lighting and effects supplies, audio and visual production, and all of your event materials needs. 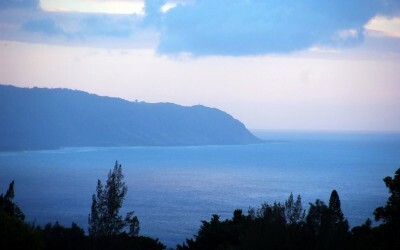 In our opinion, they have the very best product on the island and provide the best service on Oahu! 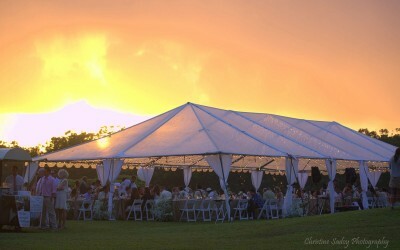 We are happy and proud to have Accel Event Rentals as our exclusive tent and materials vendor at Sunset Ranch. We are excited to announce that Accel Event Rentals now also provides specialty design materials at Sunset Ranch. These specialty materials include Signature and other unique materials design offerings that cannot be found elsewhere. The most notable Signature items they provide at Sunset Ranch are sail cloth tents, upgraded bar designs and specialty lounge furniture. We are excited to offer these Signature items through Accel Event Rentals, and we encourage you to contact them for all of your unique and otherwise hard to find rental items. While clients are welcome to bring in their own food or caterer; Sunset Ranch has aligned with Chef Elmer to create a number of exquisite, yet affordable Signature menus for our clients. Menus are priced from $28 to $75 per head, and include everything from a traditional Hawaiian menu to a locally sourced, sustainable menu. Our objective is to make the client experience at Sunset Ranch as memorable as possible, and yet at an affordable price. 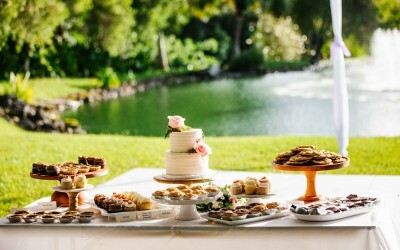 We also offer clients FREE tastings after they secure Sunset Ranch as their event venue. We are so grateful for our partnership with Chef Elmer. 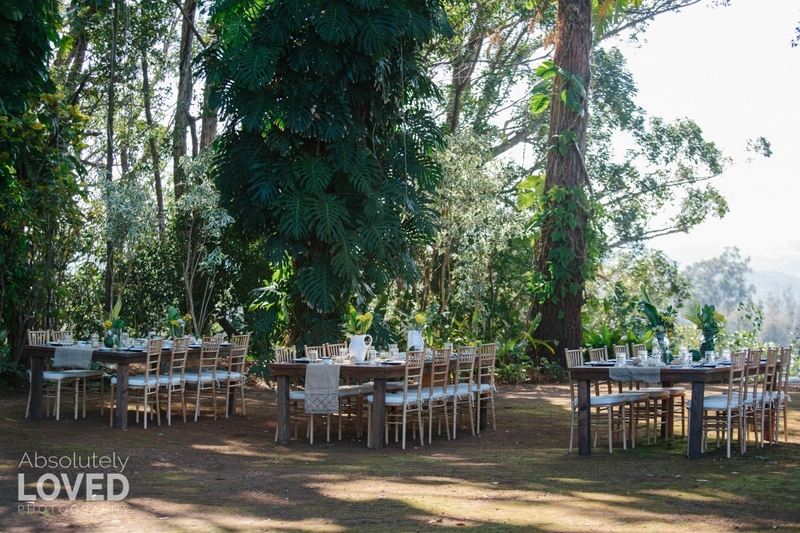 Ke Nui Kitchen is based in Waimea Valley and provides exquisite menus for clients at Sunset Ranch or Waimea Valley. Ke Nui Kitchen provides custom menus at a wide range of pricing. We are excited to be working with Chef Thomas Naler to provide exceptional catering to our clients, and grateful to now have him as part of our Preferred Vendor list. We look forward to a continued partnership with Chef Naler. Contact Ke Nui Kitchen today to discuss menu options, pricing or schedule a tasting. Cream N Roll is a locally owned rolled ice cream company located in the heart of Honolulu. They deliver a unique ice cream experience, with the freshest ingredients, one roll at a time! Cream N Roll provides an awesome alternative dessert offering to our clients at Sunset Ranch. Their ice cream not only delicious, it is made with fresh, local ingredients. We are excited and grateful for our partnership with Cream N Roll as a Preferred Vendor at Sunset Ranch. Contact them today to discuss their offering and pricing. Flour and Butter is located in the heart of Kakaako and offers a selection of délectable French macarons, cupcakes, cakes and other sweets daily. Flour and Butter no doubt delivers some of the most beautifully designed cakes and desserts in Hawaii. We are excited and honored to have Flour and Butter as a Preferred Vendor at Sunset Ranch. Please be sure to contact them to schedule a tasting or to secure them for your upcoming event at Sunset Ranch. You wont be disappointed. 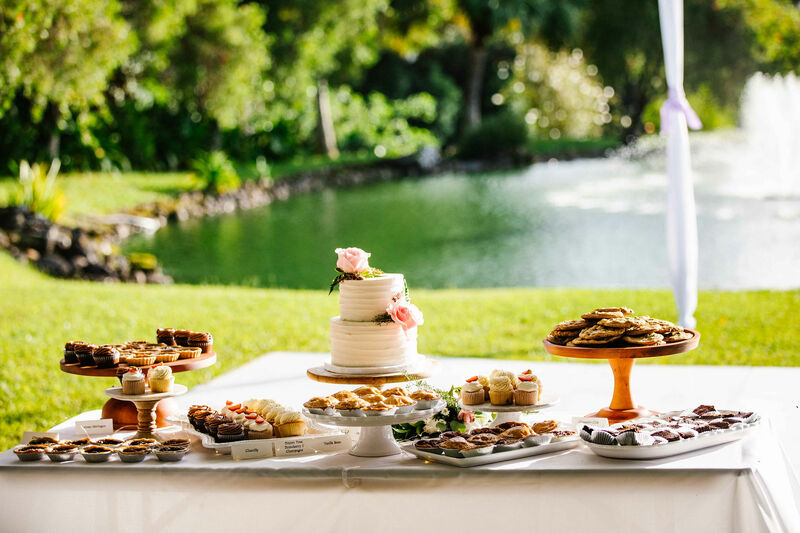 Located on the North Shore of Oahu, Up Country Creations is a dessert catering company that strives for that country flare, and to beautifully present a variety of farm to table flavors. Their creativity is unmatched, and their flavors delicious! We are absolutely thrilled to be working with Up Country Creations and we are confident that you will love not only their cakes and desserts, but their service. We are so grateful for our partnership with Up Country Creations as a Preferred Vendor at Sunset Ranch. Contact Elise to schedule a tasting or to secure Up Country Creations as your cake vendor. Wicked Slush Hawaii provides an awesome alternative dessert offering to our clients at Sunset Ranch. Their slush is not only tasty and refreshing, it is a product made with wholesome and local ingredients. All natural, raw, local honey and fresh pressed local fruit juice = Wicked Slush Hawaii! We are excited and grateful for our partnership with Wicked Slush Hawaii as a Preferred Vendor at Sunset Ranch. Contact them today to discuss their offering and pricing. 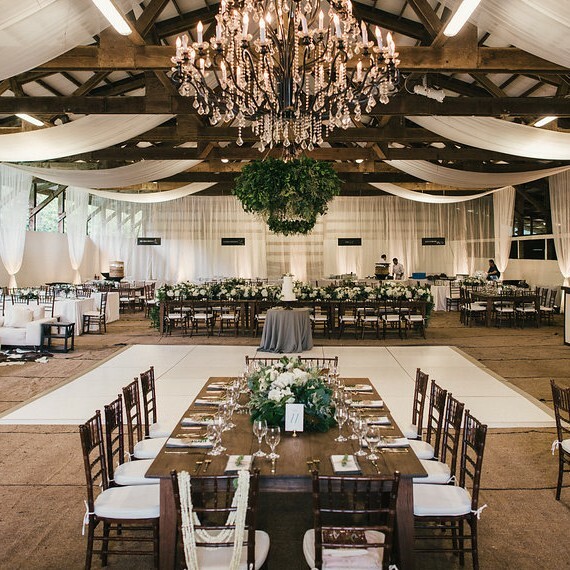 Sunset Ranch is pleased to offer Event Coordination to all of our booked clients. 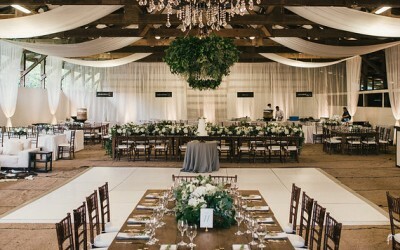 This offering provides an enhanced service to clients not requiring full planning, but interested in assistance to help ensure a smooth event. This is an affordable option that many do-it-yourself clients choose to provide themselves that peace of mind they are looking for on their special day. Details of our Event Coordination offering can be found under Virtual Tours & Brochures on the Tours & Events tab. Please e-mail or call us to discuss this offering in more detail. We would absolutely love to work with you! 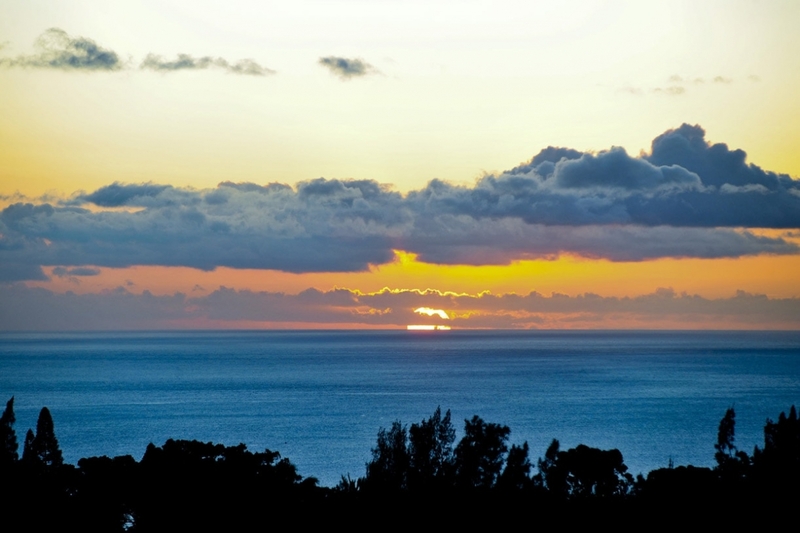 Simply Served provides comprehensive staffing service solutions on the island of Oahu. They work in partnership with Chef Elmer Guzmans Island Cuisine, one of our two Preferred Vendors for catering. Simply Served provides all needs from bar staffing to full event service staffing. Sunset Ranch is proud to have Simply Served as one of our Preferred Vendors, and we are confident that they will serve your event with utmost professionalism. Contact Simply Served today to schedule a consultation or secure them for your event at Sunset Ranch. 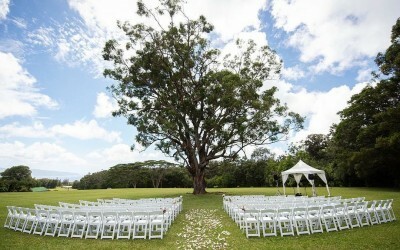 Tropical Moon Events provides comprehensive staffing service solutions on the island of Oahu. From bar staffing to full event service staffing. They also offer hand crafted cocktails to add zest and style to your distinguished event. 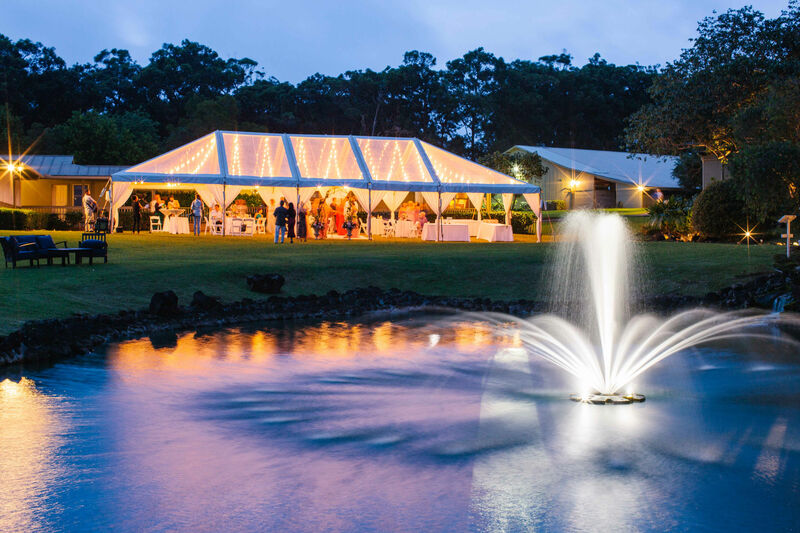 Sunset Ranch has been working with Tropical Moon Events for many years and they continue we are proud to have them as one of our Preferred Vendors. We are confident that you will enjoy their unique style and professional staff. Contact Dania today to schedule a tasting or free consultation. La Flor is a locally based floral design company located on the North Shore of Oahu. They provide a variety of floral needs for all occasions and celebrations, many of which are at Sunset Ranch. Vanessa is an incredible talent, affordable and fun to work with. We are excited to have La Flor Events as a Preferred Vendor at Sunset Ranch, and we highly recommend you contact Vanessa to discuss your floral needs. Marie Blooms is a locally based floral design company serving the island of Oahu. They provide a variety of floral needs for all occasions and celebrations, with a particular focus on serving local and destination wedding clients. Kristin is wonderful to work with, affordable and provides exceptional service. We are absolutely thrilled to have Marie Blooms as a Preferred Vendor at Sunset Ranch, and we highly recommend you contact her to discuss your floral needs. 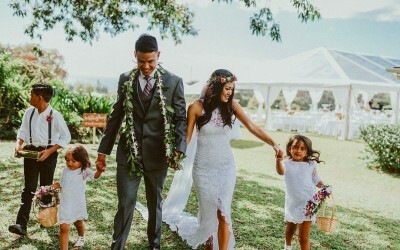 Passion Roots is a full service floral and event design company located on Oahu. They provide total visual coordination for client events starting from custom floral designs. They also offer a range of design services from graphic elements, to coordinating linens, props, furniture, and custom canopies. Passion Roots does exquisite work and we often use them for our in house floral and design needs. 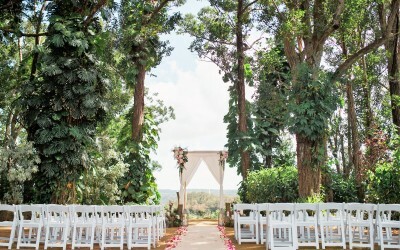 We consider Passion Roots to be one of the best floral and design companies in Hawaii. Shilhi is an absolute joy to work with and we are honored and proud to have Passion Roots as a Preferred Vendor at Sunset Ranch. The photographers of Absolutely Loved translate spontaneous wedding moments into timeless keepsakes to treasure for your entire lives. We have had many, MANY photographers at Sunset Ranch, but Absolutely Loved seems to capture the moment and landscape like no other photographer we have seen. We are excited to have this mother (Stefanie) and daughter (Anna) team as a Preferred Vendor at Sunset Ranch. ARIA Studios is a team of friends and artists who specialize in storytelling through cinematography and fine art film photography. A portion of each event fee goes toward supporting their non-profit foundation: The ARIA Childrens Fund. 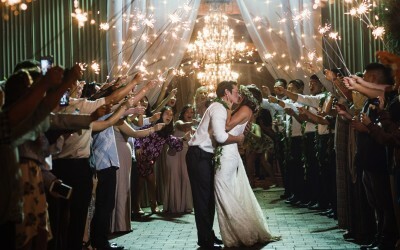 We are excited and honored to have ARIA Studios as a Preferred Vendor at Sunset Ranch. If you have secured an event date at Sunset Ranch, we highly recommend contacting ARIA Studios for your photography or videography needs. Christine Sadoy has always had a passion for photography. 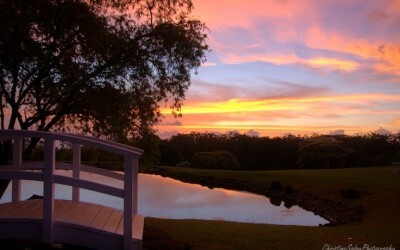 As a local resident of Haleiwa, she has been taking photographs at Sunset Ranch for several years. She is an absolute joy to work with and if you are looking for someone that really knows her way around the ranch, Christine is the photographer for you. She also provides exceptional client service and is extremely affordable. 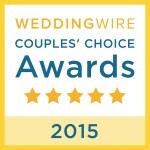 We are very pleased to have Christine as a Preferred Vendor! 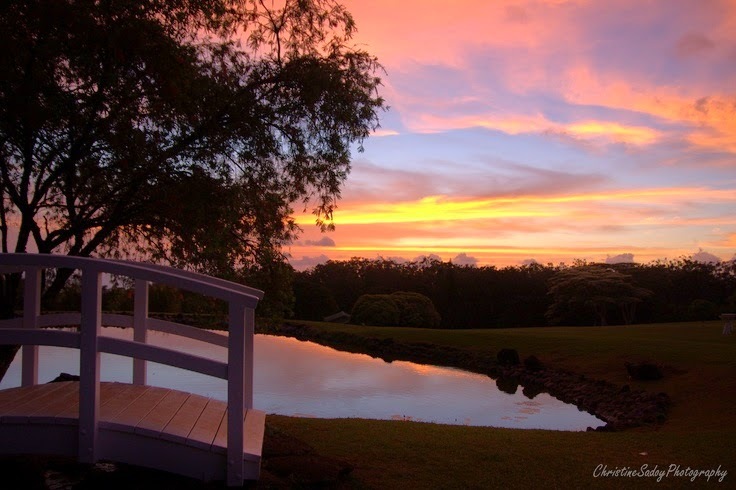 Jenna Lee Pictures consistently captures Sunset Ranch like very few others can. Her photography is spectacular and she has been profiled in several magazines throughout Hawaii for many years. Jenna is also a favorite of our coordinators and she comes recommended highly. We are so grateful to have Jenna as a Preferred Vendor at Sunset Ranch, and we highly recommend contacting her to discuss a photography package. 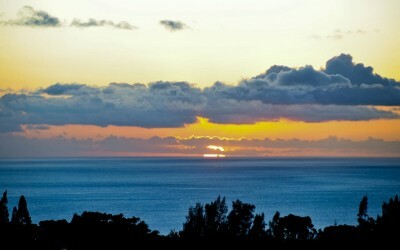 John Hook is one of the most recognized photographers in Hawaii. His photographs have been published in several magazines, and he has quite a following across social media. John has also captured some of the finest photographs we have seen at Sunset Ranch, and we therefore recommend him highly. 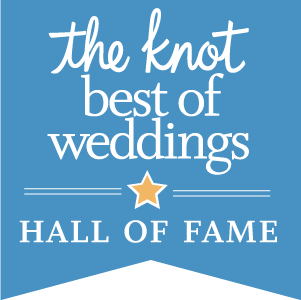 We are extremely honored and proud to have John Hook as a Preferred Vendor at Sunset Ranch, and we recommend contacting him to discuss a photography options. Rachel has always been a photographer at heart. Her photographs have been published in several magazines, including The Knot, Pacific Weddings, Sun Valley magazine, and Flathead living. 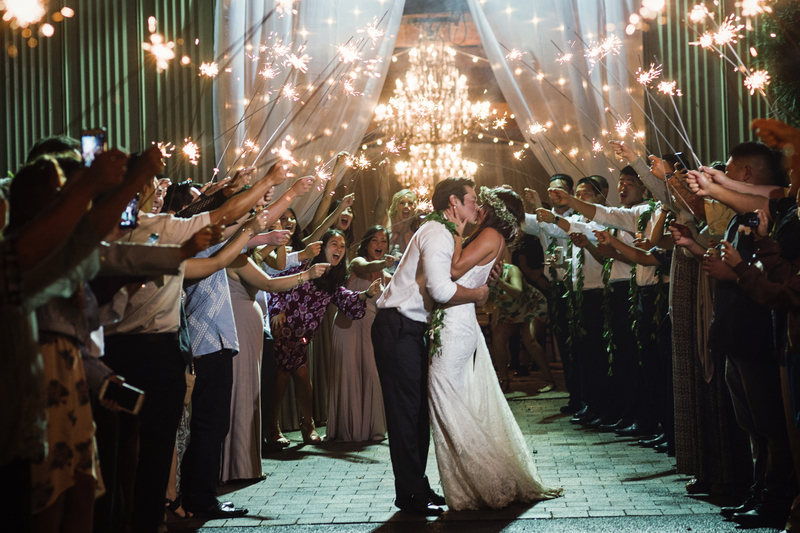 Rachel has captured some of the finest photographs we have seen at Sunset Ranch, and we recommend her highly. We are extremely honored and proud to have Rachel as a Preferred Vendor at Sunset Ranch, and we highly recommend contacting her to discuss a photography package. Fisheye Studio would love to tell your story! And they are INCREDIBLY talented at doing it. Whether it is a commercial shoot, short film, event or documentary, they are available to assist you with your needs. 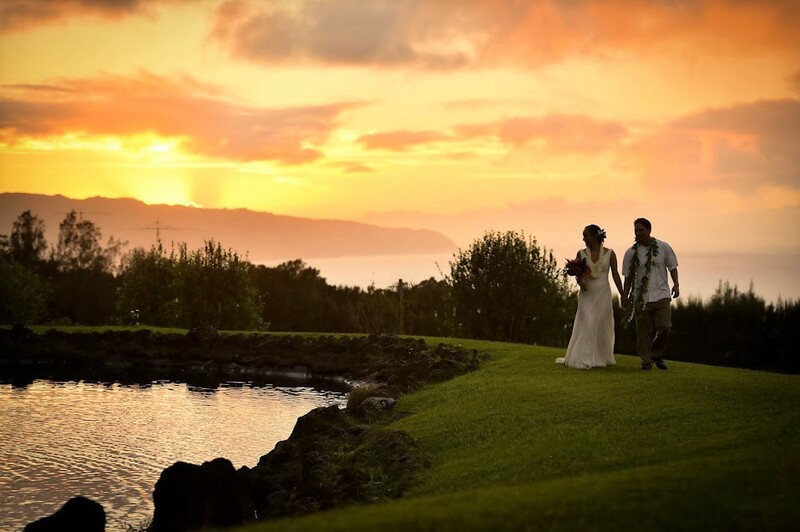 Fisheye is one of the top cinematography companies in Hawaii, and we are excited to have them as a Preferred Vendor at Sunset Ranch. We highly recommend you contact them if you are interested in hiring a videographer for your event at Sunset Ranch. Isle Media is an incredibly talented team of individuals that have developed a style that is fun, distinctive and enduring. They have revolutionized the event industry by fluidly incorporating videography, photography, beauty, DJ/MC and uplighting services to their repertoire, essentially creating a ONE STOP SHOP for clients. We are honored and proud to have Isle Media as a Preferred Vendor at Sunset Ranch, and we highly recommend that you contact them. 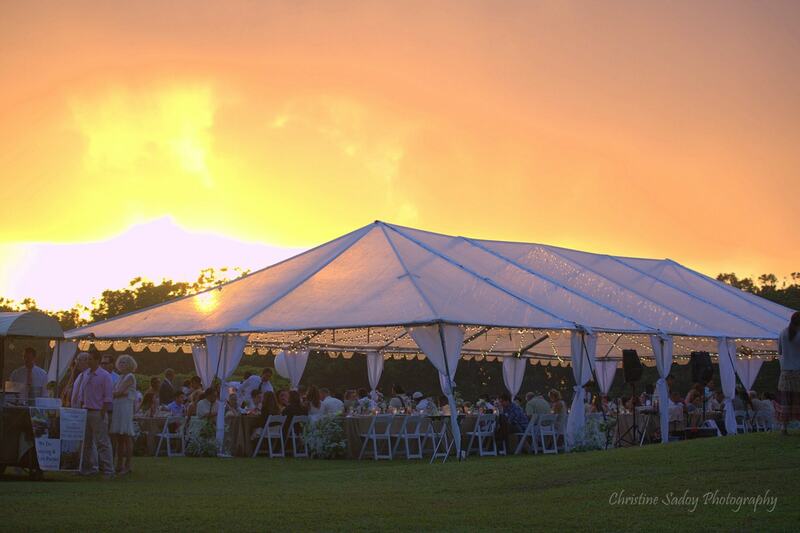 Makai Creative has done some incredible work and Sunset Ranch and all across Hawaii. They are available to assist our clients with a wide range of photography and videography needs. 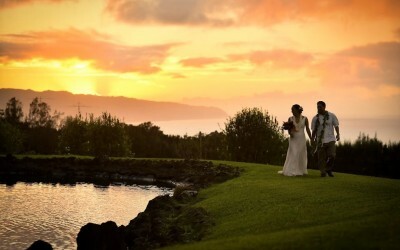 Makai is also a top videographer in Hawaii, and we are excited to have them as a Preferred Vendor at Sunset Ranch. We highly recommend you contact them if you are interested in hiring a photographer or videographer for your event at Sunset Ranch. Bliss DJs has been in the industry for over two decades and focuses primarily on sound, emcee and lighting services for weddings. They provide a multitude of options, including the new trend of ‘Silent Disco’ (BIG in New York and SF clubs) which allows a multitude of song choice over three separate channels, and efficiently manages noise levels. We are pleased to have Bliss DJs as one of our exclusive DJ vendors at Sunset Ranch. Please contact them to discuss options and pricing. DJ Nate Hawaii has a lot of experience with emcee and DJ services throughout Oahu. 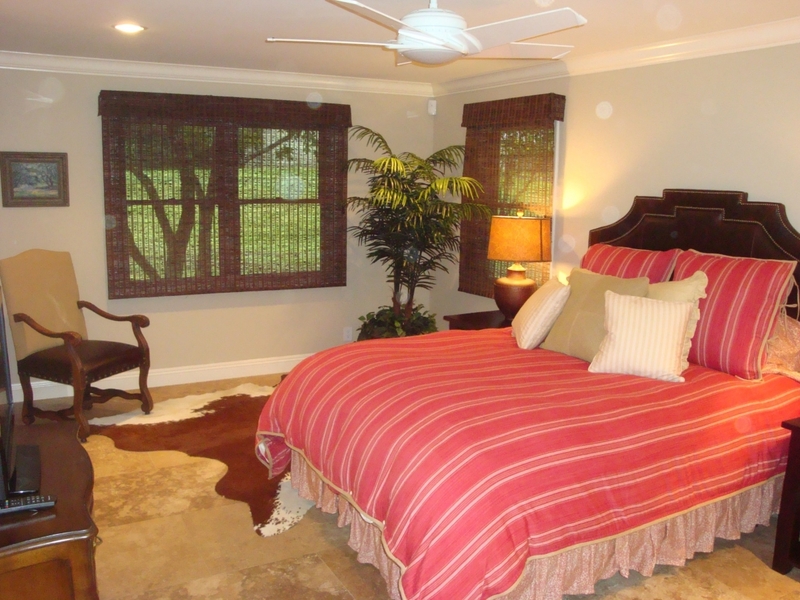 They provide a variety of options and very professional services. Further, they are extremely respectful of our policies and procedures at Sunset Ranch. We are pleased to have DJ Nate Hawaii as one of our exclusive DJ vendors at Sunset Ranch. Please contact DJ Nate Hawaii today to discuss options and pricing. Island Escape is extremely well known in Hawaii and has a tremendous amount of experience with emcee and DJ services throughout Hawaii. They provide a variety of emcee, lighting and DJ options. Further, they too are extremely respectful of our policies and procedures at Sunset Ranch with regard to music and noise. 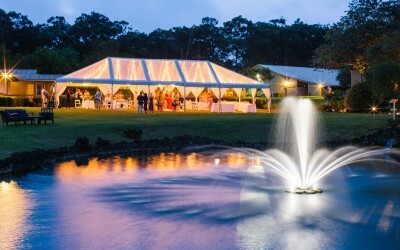 We are pleased to have Island Escape as one of our exclusive DJ vendors at Sunset Ranch. Please contact them today to discuss options and pricing. ND Mixx Productions has provided quality entertainment for over twenty years in Hawaii. Their philosophy is simple: the client comes first. Their DJs are very low key and their focus is on helping create the best possible experience for our clients. The owner, Gil, is a joy to work with, and he and his team are extremely respectful of the ranch and our music policies. We\'re pleased to have ND Mixx as an exclusive vendor at Sunset Ranch. Please contact them to discuss options and pricing. We are excited to offer Alexandra & Co. as a Hair and Make-Up Preferred Vendor at Sunset Ranch. Alexandra and her team of pro-stylists create a spa environment for you on your special day. With over two decades of combined experience, they provide flawless hair and makeup designed to impress for photos, dancing and uphold through the entire day and night. 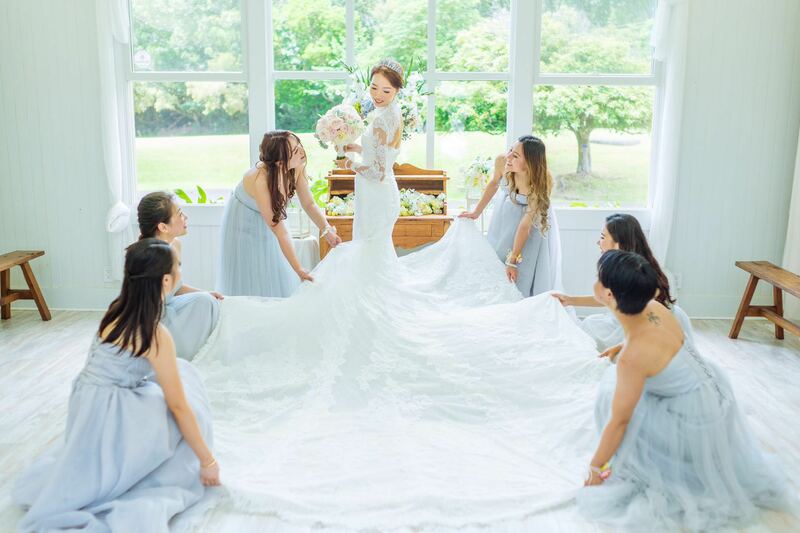 Countless brides from all over the world have fallen in love with Alexandra and her team. We highly recommend Alexandra & Co. for your hair and make-up needs at Sunset Ranch. 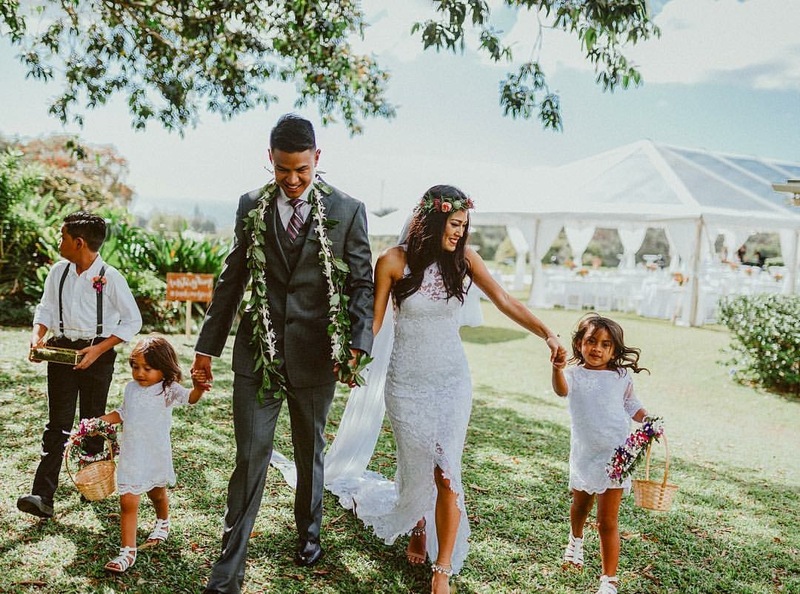 Servicing all of Hawaii with many years of experience, Faith and Beauty is a Christian based business specializing in on-site hair styling and airbrush makeup. Gemina and her team have assisted many of our clients at Sunset Ranch, and they do an exceptional job. We know you will be happy with their services. We are honored and proud to have Faith and Beauty as a Preferred Vendor at Sunset Ranch! Pastor Mark Kurnow is one of our select officiants who has been providing services in Hawaii for many years. He is an exceptional pastor and provides great service at a reasonable cost. We are honored and privileged to have Pastor Mark as a Preferred Vendor at Sunset Ranch! We highly recommend contacting him to discuss his services and pricing. Pastor Mark Turansky has been providing officiant services in Hawaii for many, many years. He provides exceptional service at a very reasonable cost. We also use Pastor Mark quite often in our wedding packages. We are honored and privileged to have Pastor Mark as a Preferred Vendor at Sunset Ranch! We highly recommend contacting him to discuss his services and pricing. 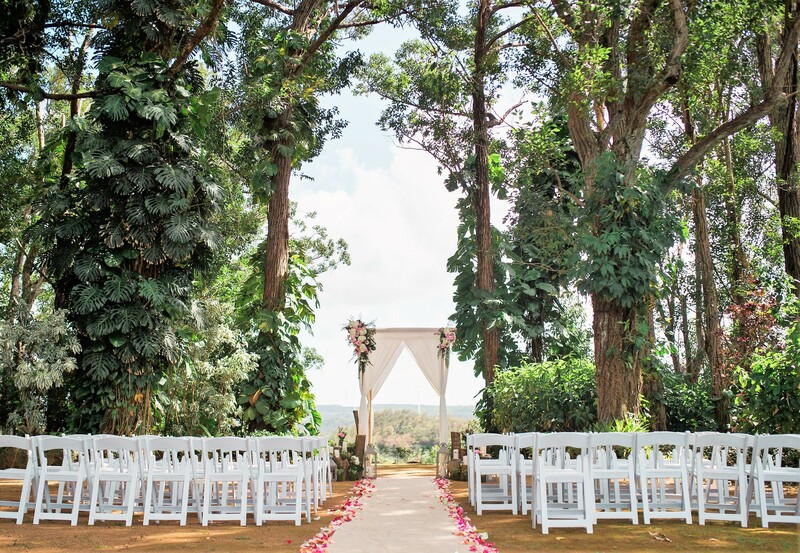 Kahu Pomaikai has also been providing officiant services in Hawaii for many years, and we are excited to have her as a member of our Preferred Vendor list at Sunset Ranch. 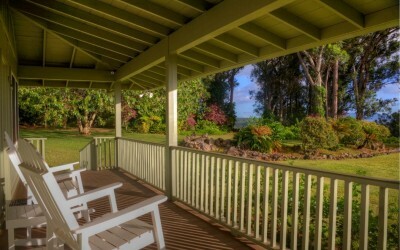 She provides exceptional service, and offers an authentic Hawaiian service as well. 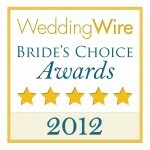 We are honored and privileged to have her as a Preferred Vendor at Sunset Ranch! We highly recommend contacting her to discuss services and pricing. 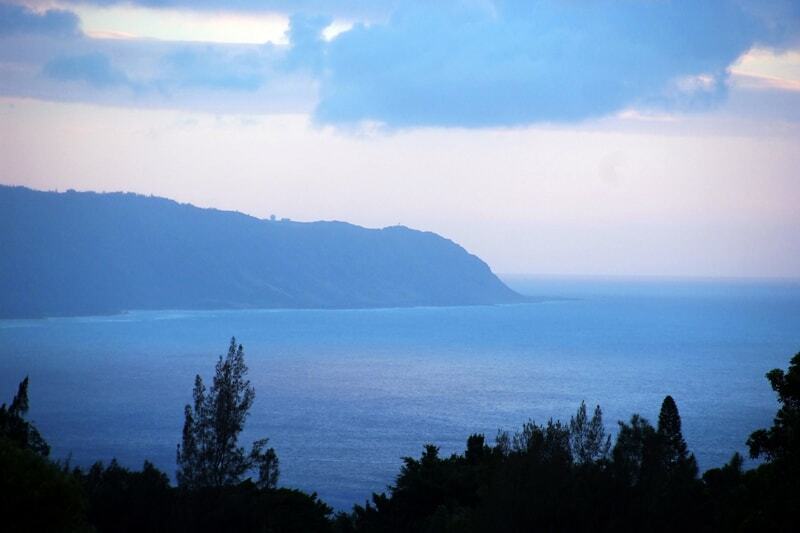 AMT Hawaii provides comfortable air conditioned transfer all around the island of Oahu. They are headquartered in Honolulu, have a presence on the North Shore and provide exceptional service at a reasonable cost. They are also extremely responsive to any and all transport inquiries. Please also note that AMT Hawaii has all of the proper vehicles for transport to and from the ranch. We are honored to have AMT Hawaii as our exclusive transport provider at Sunset Ranch. Please contact them directly to schedule transport services at discounted rates. Horse Photos and our Petting Zoo are extremely popular services at Sunset Ranch! These offerings provide an enhanced service to clients that have booked their event at the property. They are fun, affordable, and can often provide for an even more memorable experience at Sunset Ranch. We include Horse Photos in our Signature Packages. Please e-mail or call us to discuss these unique offerings in more detail. We would absolutely love to add these services to your special event at Sunset Ranch! We are excited to offer horse and carriage services through Honolulu Horse and Carriage. 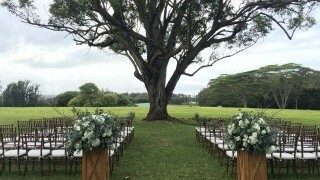 While Honolulu Horse and Carriage specializes in horse-drawn carriage tours in the city of Honolulu, they also cater to a variety of events throughout Oahu, including: weddings, birthday parties, and corporate retreats. 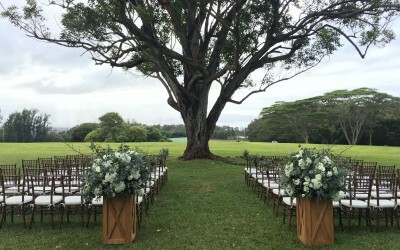 We are honored and privileged to have Honolulu Horse & Carriage as a Preferred Vendor at Sunset Ranch. Please visit their web-site or contact them directly for more information regarding their services and pricing. Ring of Fire offers Sunset Ranch clients the ancient tradition of Hula and Hawaiian culture through their Hawaiian entertainment. Ring of Fire offerings share elements of Hawaiian culture in an authentic and professional manner. Sunset Ranch is excited to have Ring of Fire as a Preferred Vendor. Please call Ring of Fire for more information regarding this special offering at Sunset Ranch. Michael Cheape is a wonderful local acoustic guitarist and singer. Not only does he have an exceptional voice and can play most anything, he is a great guy! Michael is fun to work with and has been a part of many of our packages at Sunset Ranch over the years. We are honored and privileged to have Michael Cheape as a Preferred Vendor at Sunset Ranch. Please contact Michael directly for more information regarding his services. 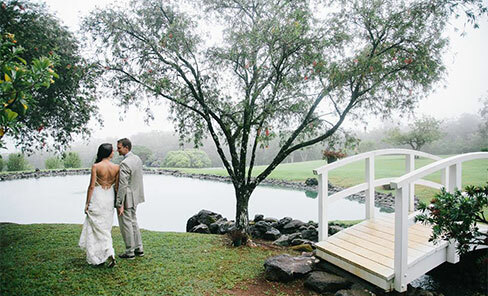 We are excited to introduce Vintage Aloha Photobus as a new Preferred Vendor at Sunset Ranch. Their offerings include unlimited prints, a large variety of fun props, a high resolution lab quality printer, a flash drive of all event photos, and a custom monogram seal with name and date on bottom of each print. We are happy to have Vintage Aloha Photobus as a Preferred Vendor at Sunset Ranch, and we highly recommend them to add a fun and memorable element to your next event. HelmsBriscoe is a nationally recognized event management company that works to secure events and overnight accommodations around the country. We are excited to be working with HelmsBriscoe to help secure our clients the best possible room rates for their guests attending their event at Sunset Ranch. Due to their size, HelmsBriscoe has a lot of leverage to negotiate the best possible pricing regardless of the hotel or time of year. Please visit their web-site for more details. Please remember too, we can arrange transport from any hotel through our transport provider. The Marriott Courtyard - Laie is a new hotel next door to the Polynesian Cultural Center. The hotel is new and relatively affordable and we recommend it as another close option for our clients. Please visit their web-site for more details. We can also arrange transport from the Marriott through our transport provider. The Oceanfront Villas at Turtle Bay are beach front properties with dramatic ocean and pool views. The Turtle Bay Resort is within walking distance, so all guests have access to the amenities that the resort has to offer. The villas are meticulously maintained and we highly recommend them. We are excited to have the luxury option of the Oceanfront Villas for our clients at Sunset Ranch. Please visit their web-site for more details. We can also arrange transport from the villas through Island Transporter. Turtle Bay Resort is one of two hotels on the North Shore of Oahu and is located just fifteen minutes north of Sunset Ranch. The resort has newly renovated rooms, sourced-restaurants, golf courses and a wellness spa. Sunset Ranch has a great relationship with the resort and provides discounts through a specialty service contact that will be provided at the time of booking. Please visit their web-site for more details regarding their accommodations. We can also arrange transport from the hotel through Island Transporter.